McDonald’s Canada Announces The Launch Of The New ‘Big Mac(R) Bacon’ But Is It Still A Big Mac? And asking Canadians, if you put bacon on a Big Mac, is it still a Big Mac? McDonald’s Canada has announced the first change to the Big Mac since it’s arrival in Canada 50 years ago: for one month they’re adding three strips of Canadian bacon to the restaurant’s most iconic sandwich. A billboard along the Gardiner Expressway in Toronto asked, “Is a tricycle still a bicycle”? A video on Facebook asked even more questions such as “If you’re in an empty room is it still empty” and “Are a pair of monocles still monocles”? Videos were also teased on Snapchat and Instagram Stories showing the first Big Mac Bacon being prepared. To officially announce the Big Mac Bacon, a TV spot and online video launched showing two friends in a McDonald’s restaurant comically debating whether you can change the Big Mac recipe. 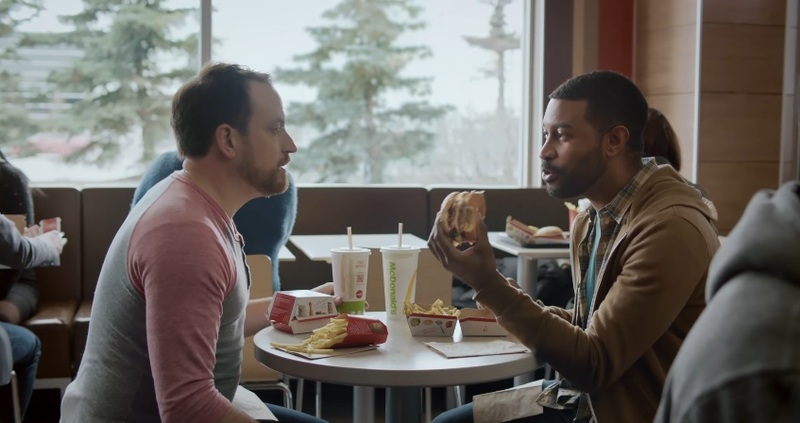 The spot ends with the hashtags #NotABigMac and #StillABigMac to encourage debate online and see what Canadians really think. The national campaign is in both French and English and will run until February 20. The campaign is supported by digital out-of-home ads, social media posts and YouTube pre-roll. The 60-second TV spot will also run during the Super Bowl in Canada on February 5. AdStasher: McDonald’s Canada Announces The Launch Of The New ‘Big Mac(R) Bacon’ But Is It Still A Big Mac?